Inspect your roof or hire a licensed professional to examine your roof for wear and tear. 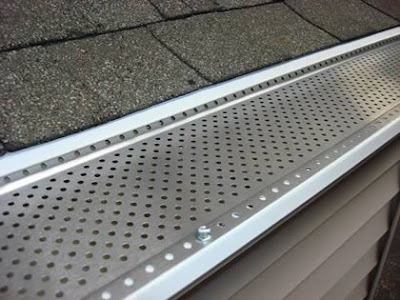 If the shingles are curling, buckling or crackling, replace them. 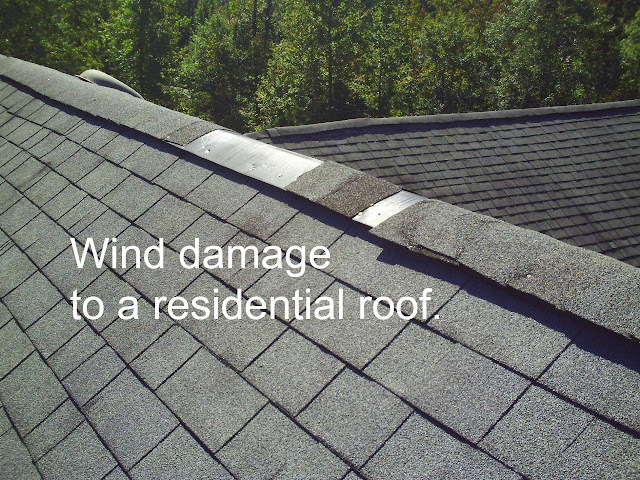 If you have a lot of damage, it's time to replace the entire roof. Also, check the flashing around skylights, pipes and chimneys. If you have any leaks or gaps, heavy snow and ice will find its way in. Rake up the thick layers of leaves that settle on lawn surfaces. Large leaves, especially when they get wet, can compact to the point where they suffocate the grass below and lead to all kinds of insect and disease problems. It's a good idea to routinely rake or blow them off the lawn or, better yet, use a mulching mower to shred them into fine pieces. Each fall check carbon monoxide detectors and smoke alarms and put in fresh batteries. These are very important detectors to have in a home. A smoke alarm can save lives in a house fire. A carbon monoxide detector can also save lives if a home has oil or gas-burning appliances, like a furnace or water heater. Always install carbon monoxide detectors according to manufacturer's instructions. Generally, they should be installed near each potential source of carbon monoxide, and within ear shot of the living and sleeping areas.